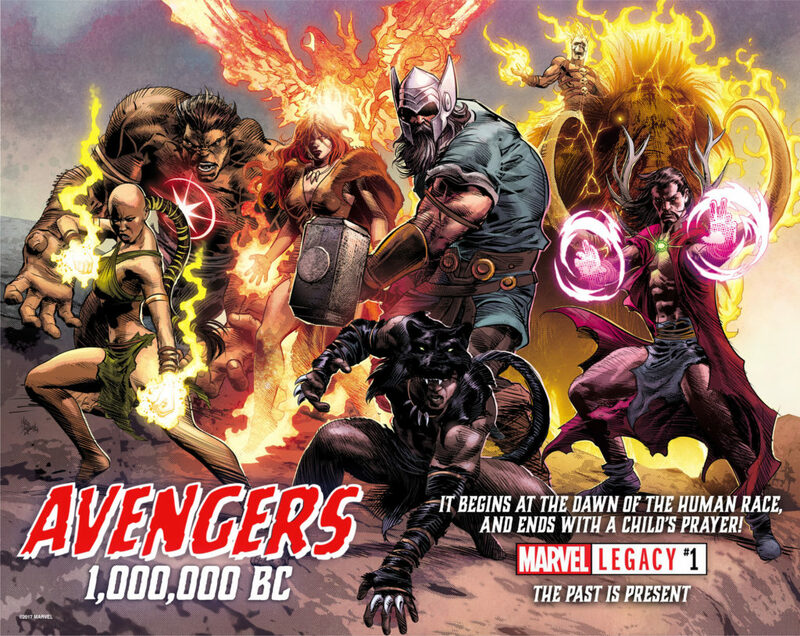 MARVEL LEGACY #1 introduces the AVENGERS OF 1,000,000 BC – and that’s only the opening of the most important comic story of the year! Featuring THOR, IRONHEART, CAPTAIN AMERICA, JEAN GREY, IRON MAN, DEADPOOL, THE THING, ODINSON, DEADPOOL, LOKI, GHOST RIDER, DOCTOR STRANGE, THE HUMAN TORCH, GAMORA, IRON FIST, AND PRACTICALLY EVERY MARVEL CHARACTER EVER. Make Mine Marvel this fall, with MARVEL LEGACY #1!